Founders Q&A: Tim Pickering of Auspice Capital used his CTA skills to create an index for CTA beta. He discusses what this means. We spoke with Tim Pickering almost two years ago for the October 15, 2009, issue of Opalesque Futures Intelligence. At that time he managed a natural gas ETF in addition to Auspice Capital Advisors' commodity trading advisor program. Since then he's developed the Auspice Broad Commodity and Managed Futures indexes, which are calculated and published by the New York Stock Exchange. 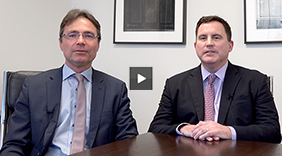 Claymore Investments launched an ETF based on the Auspice Broad Commodity index. In the pipeline is another Claymore ETF, based on the Auspice Managed Futures Index. See Top Ten for the Claymore funds and other Canadian commodity funds. Claymore is owned by Guggenheim Partners. This issue's Insider Talk is with Guggenheim senior managing director Steve Baffico. Separately, Mr. Pickering started an energy-focused CTA program. He manages $250 million altogether. The Auspice diversified CTA program has been a top performer since beginning operations in 2007, with an annualized return that is more the twice that of the Newedge CTA index and substantially higher than certain well-known CTAs'. Here he discusses the new developments and why some investors may want managed futures in index form. This format provides not alpha return but CTA beta, which Mr. Pickering explains. "The managed futures index is for investors that want CTA exposure but are not looking for CTA alpha." Opalesque Futures Intelligence: Do investors want futures in index form? Tim Pickering: Here's how we decided to develop indexes. The catalyst was what investors told us about their 2008 experience. Many institutions went into commodities for portfolio diversification. The problem is that most invested in long-only commodity indexes. Those provide long-term diversification but at a time of financial crisis like 2008 correlation rises among asset classes, including commodities. So investors did not get the diversification they were looking for. To solve that problem, they can invest with CTAs. But not all institutions want to or can do that. Some do not have approval for managed futures or have already filled a mandate. They may not want to pay the 2%-and-20% fees or allocate to outside managers at all. They want to have commodity exposure but in an improved form. After talking about this with investors, we developed indexes and licensed them to Claymore for their Canadian ETFs. OFI: What makes the Auspice Broad Commodity Total Return Index different from other commodity indexes? TP: The idea is to capture upward trends in commodity markets but avoid losses in downtrends. It is an improvement upon earlier commodity indexes and fits into the third-generation commodity index category. The basket of 12 commodities are traded long or flat. When a commodity is trending down, we get out. No short positions are allowed. If an investor wants long exposure to commodities, this is a better way. You get the exposure but with an improved risk-adjusted return. OFI: You're a systematic trend-following commodity trading advisor. Did that affect index development? TP: In constructing indexes, including the broad commodity index, we used some of the elements that generate alpha return in our CTA business-trend following strategy; risk management in position sizing and re-sizing; and roll optimization in deciding which contract to buy so as to reduce the negative effect of a contango if the market is in that situation. These are robust methods and we've combined them in an index that is transparent. OFI: How does the managed futures index differ from the broad commodity index? TP: The managed futures index is the next step in ETF development. 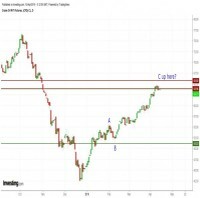 It has the same 12 commodities but also includes nine financial futures and instead of long/flat it can go long or short depending on the market situation. The other elements - trend following, roll optimization, risk management in capital allocation - are the same as in the broad index. The strategy is similar to a CTA with a basket of diverse sectors. OFI: What's the idea behind the managed futures index? TP: The managed futures index is for investors that want CTA exposure but are not looking for CTA alpha. It provides CTA enhanced beta. OFI: What is CTA enhanced beta? TP: You can put together a group of CTAs and get broad long/short exposure. The problem with that fund-of-funds strategy is that it is very expensive because you're adding the fee for the fund of funds to the fees of the underlying managers. So we created a strategy based on our successful CTA experience. It is not the same as our CTA strategy but it is a robust, replicable index methodology. The upcoming ETF will be very cost effective, with a fee of 95 basis points. This is a managed futures program with index-type fees. A pension that won't or can't pay high fees can get managed futures this way. OFI: Besides low cost, is there another advantage to investing in a managed futures index rather than with CTAs? TP: With the index, you know exactly what you're getting. The methodology is transparent. It is published by the NYSE. OFI: How do downturns in commodity markets affect these indexes? TP: These investments will to some extent correct with the market. We're not attempting to get out at the perfect point. But when there is a sustained downward trend in a market, the broad commodity index will exit those markets. So if there are years of down trending as we've had in natural gas, the index won't be long that component; it will be flat. There will be downward pressure on the strategy but if it is a prolonged trend, the going flat will control the risk. With the managed futures index, in the near term there is a similar adverse effect, but in a persistent down trend the managed futures approach will benefit because it will go short those commodities. So it depends on the time frame. This is not a short-term trading approach. OFI: How much of their portfolio should investors put into futures and commodities? TP: Research - from CME, for instance - suggests 20% is the right level for managed futures exposure. If you want to complement that with commodity exposure, you're looking at an additional 10% to 15%. The old 60% equities/40% fixed income portfolio allocation rule has gone the way of the dodo bird! People are realizing that commodities and managed futures should be a significant portion of their portfolio, given that these are low-risk and non-correlated. I expect increasing numbers of investors will come this way. OFI: Is the Canadian market for commodity ETFs growing? TP: The Canadian ETF market is growing rapidly. One of our distribution partners, Claymore, is one of the fastest growing money management companies in Canada. We first partnered with them when we launched the Claymore natural gas ETF in 2008. At that time their assets under advisement was around $1 billion. Now it is many times that. OFI: How is the business going? TP: Very well. Our new Auspice Energy CTA program just went live on the Alphametrix platform. It comes with zero management fee and 20% incentive fee. While the ETFs launched so far are for the Canadian market, we look for investment mandates beyond Canada. The fee for the broad commodity ETF is 80 basis points. An institution that does not want the ETF format can get the same strategy directly from us at no more than the index fee. OFI: The Auspice diversified CTA is a top performer with a four-year 12.9% annualized return (ending May 2011). What do you attribute this to? TP: As a diversified CTA we now have almost five years' track record. Our discipline in risk management and lots of experience in this space helped us. If you're good at risk management, trading volatile markets makes sense. You have to be a good risk manager to have success in these markets. OFI: How do you manage all these different endeavors? TP: We've got a great team and a great partner. And our business model makes it possible. A single strategy does not make a business. We want a diverse business based on different revenue streams. We have non-discretionary systematic strategies that scale up efficiently. The CTA and ETFs target different investment groups and have different goals and time frames. We use skills from our CTA background to develop products to meet various needs. "The methodology is transparent. It is published by the NYSE."